is one of the UK's finest London Soul Nights that provides quality sounds for quality people. SOUL FINE is one of the UK's finest Soul nights hosted every other month in London. Established in 2011, it's a night known for it's fantastic soulful vibes and quality music and it all takes place onboard London's most stylish floating venue, the Tereza-Joanne moored boat, which overlooks the stunning cityscape of London. Some of London's finest soulful DJs are always onboard spinning your favourite party tunes so you can expect to hear a variety of Soul, RnB, Rare Groove with a touch of Reggae & Lovers Rock, so come and dance the night away from 10pm - 4am. 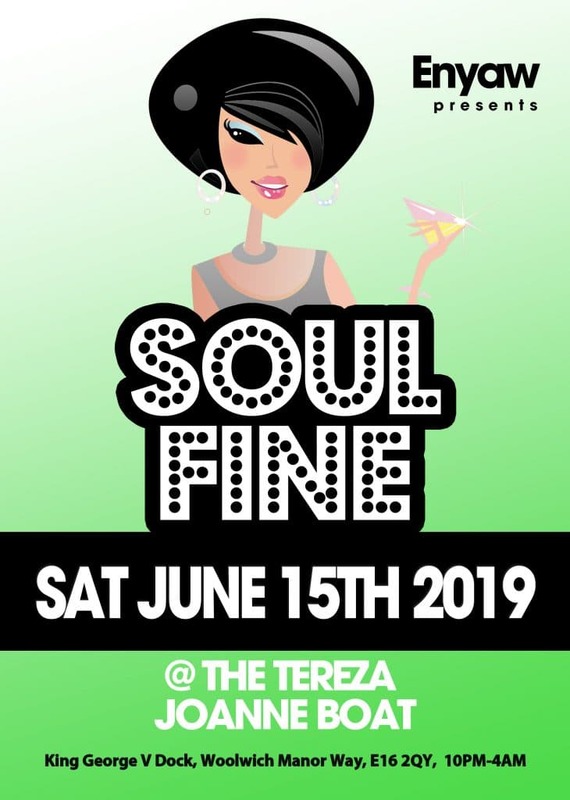 You really have to be there to experience how Fine SOUL FINE really is! Quality Sounds for Quality People! First time attendance last night. Had a great time will be getting together a group of friends to attend. Cracking night had by all. The choons laid down by he DJs were bang on the money. You really have to be there to experience how fine Soul Fine really is so join us at the next event. Find out where DJ Enyaw will be spinning Soulful sounds & listen to the weekly Soul Fine Radio Show. Take look at the photos from previous events & see how we get down at Soul Fine. 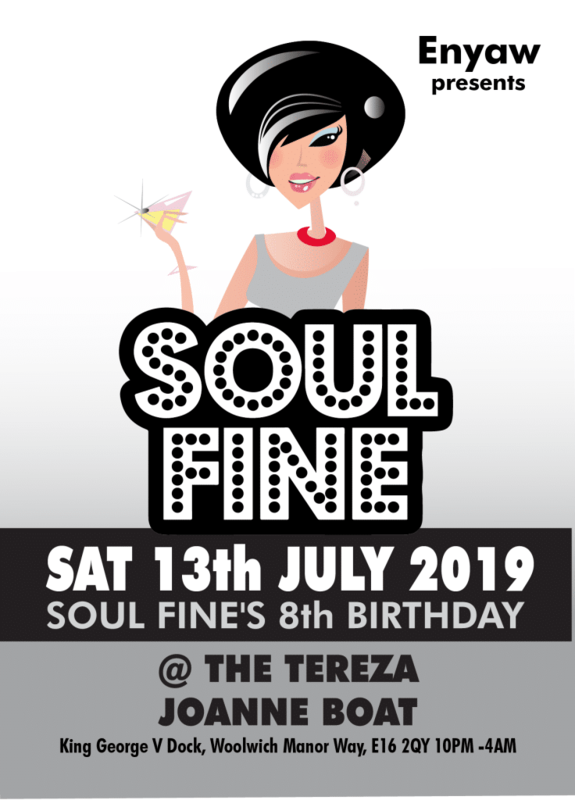 Soul Fine is a night for the grown and glamourous people to come and party with some of London's finest soulful DJs, who will be spinning a variety of quality Soul, RnB, Rare Groove, Party Classics with a touch of Reggae & Lovers Rock from 10pm to 4am. Come and experience a night to remember onboard one of London's most stylish floating venues, overlooking the striking London skyline. We have successfully established one of London's finest SOUL events and we are interested in collaborating with brands and businesses. If you want to bring the SOUL FINE experience to your venue or event, DJ Enyaw and the SOUL FINE brand are available for promotional work and exclusive guest sets in the UK and abroad. Contact DJ Enyaw on 07958 708028 to enquire or alternatively send a message using the contact form. Affordable Bespoke Websites & Logos Designed With Attention To Detail & Care.